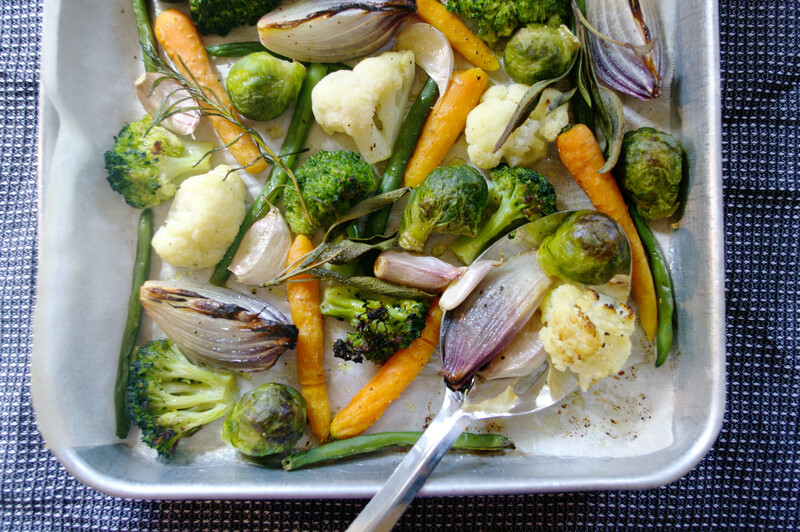 Did you know that you can roast your frozen veggies? And, yes, they’re delish. Frozen vegetables have a lot going for them. They’re as nutritious as fresh, if not more so, as they’re frozen quickly after picking, they’re convenient, easy to store without the risk of spoilage, and quite often they’re significantly less expensive than fresh, especially as we come into the winter months. With barely any prep involved, roasted McCain frozen veggies are a speedy, nutritious and downright delicious side for weeknight dinners, Sunday lunch or tossed through salad. Preheat a fan-forced oven to 230°C. Line a roasting pan with baking paper, place McCain Frozen Vegetables into the pan, breaking apart any pieces that are frozen together. Drizzle lightly with olive oil, season with salt and pepper, and toss to coat. Optional – include a few sprigs of herbs such as rosemary, sage or thyme, garlic or onion to add flavour to your veggies as they roast. Place into the oven and roast for 25-35 minutes.